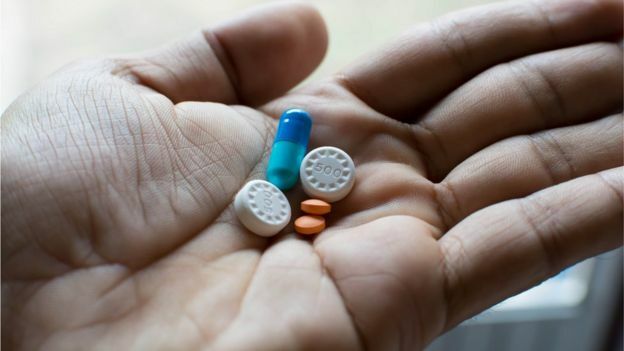 Prescriptions in England should be free to everyone with a long-term medical condition, the Prescription Charges Coalition campaign group says. Some people end up needing hospital treatment because they cannot afford their medication, it says. It wants conditions such as Parkinson’s to be added to the list of specific illnesses that require free medicines. But health officials say they have made sure people with chronic illnesses have access to affordable prescriptions. Zoe Oakley, a bus driver and mother of two from Poole, is one of thousands of people who would like free medication. She has polycystic kidney disease and is currently waiting for a transplant, but says the costs of her blood-pressure medication to protect her kidneys can take its toll. She says: “There were two times when I couldn’t afford them and wasn’t going to refill my prescription until I got paid. “The morning after skipping my medication, I woke up with what can only be described as feeling like the worst hangover ever. “I had an absolutely pounding headache. Later in the day, my blood pressure spiked so high that I had to be taken to hospital by ambulance. “The first time, I had a lumbar puncture and an MRI scan to make sure there was no bleeding in my brain. “You cannot tell me that that was less expensive for the NHS than covering the cost of my prescription. 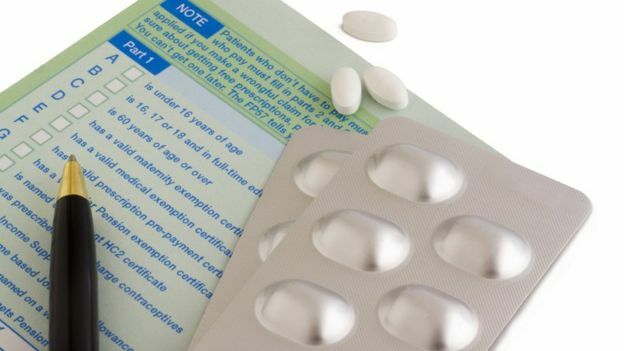 Wales, Northern Ireland and Scotland have scrapped prescription charges for everyone in recent years. In England, many are dispensed free of charge, mostly to the over-60s, the under 16s, pregnant women and those on low incomes. But 10% are paid for – and mostly by people on modest wages with long-term conditions not included on the current exemption list, according to the coalition group. As a result, organisations such as Parkinson’s UK, National Rheumatoid Arthritis Society and Asthma UK say the list of medical exemptions is “unfair” and “out of date”. Neal Patel, from the Royal Pharmaceutical Society, agrees that the current system is arbitrary and unfair. He said: “The main burden falls on those with long-term conditions such as HIV, asthma and multiple sclerosis, who have to pay for prescriptions to stay well. Meanwhile a Department of Health official said: “We have made sure that people with long-term conditions can get access to affordable prescriptions. The “medical exemptions” list was drawn up in 1968 and includes a number of specific and sometimes rare conditions. The only recent addition was cancer treatment. At present, some people with life-long health conditions qualify for free prescriptions and some do not. Those who need to take insulin for type-1 and type-2 diabetes are included – but those with asthma, HIV and rheumatoid arthritis are not. Treatment for an underactive thyroid is included, but not for an overactive one. There are some ways of getting cheaper medications, for example prescription season tickets – known as prescription prepayment certificates (PPC). The certificates allow people who take regular medication to obtain all the prescriptions they need for £2 a week, according to NHS Choices. Campaigners say long-term conditions affecting the population have changed significantly in the past 50 years and the list no longer reflects reality. Their recent survey suggests some people who have to pay for prescriptions cannot always afford them, meaning they skip doses. These people are then more likely to have additional health problems, a poorer quality of life and more frequent hospital admissions – on top of the existing condition and, often, a limited ability to work. Who should get free drugs? Who should qualify for medical exemption certificates has been a topic of hot debate over the years. Some people suggest it should be everyone who has a long-term condition. But experts have found it difficult to define exactly what constitutes a long-term disease. And people who object to this idea say simply adding more diseases to the exemption list would lead to future inequalities as the patterns of disease continue to change. 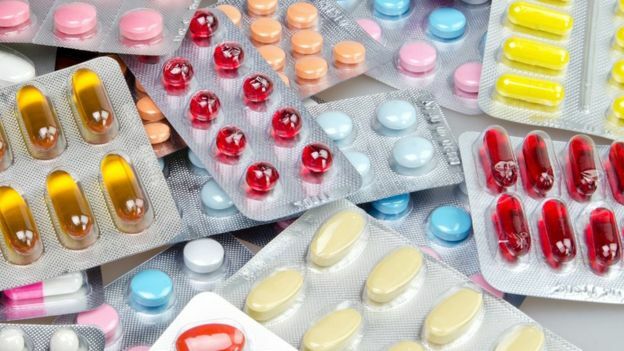 There have also been suggestions that people with long-term conditions should get free medication only when the drugs relate to that particular condition, rather than free drugs for anything that goes wrong. Others still have suggested not all people over-60 should get free prescriptions if they could afford to pay the charges. Some say anyone who cannot afford to pay shouldn’t. Then, there is the idea that everyone should get free prescriptions. But there has been little consensus about the best way to do it. The finances have to add up, and as people live longer there are more and more drugs prescribed. Some experts say this has to be balanced alongside the money that comes in – prescription charges bring in almost £500m per year for NHS services.